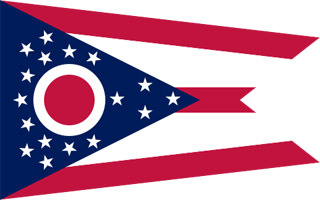 Ohio is one of the Midwestern states in the United States. Located on several main routes between the east and the west, it lured settlers from all parts of the country. It first developed as an agricultural state. Because of its strategic location it has made industrial production possible. The states major roads linking east and west; the railways with access to Lake Erie and the Ohio River, along with an abundance of natural resources and various sources of energy help commerce. Columbus is the state capital and largest city. Ohio is thought to mean either great or beautiful river in Iroquois, pertaining evidently to the Ohio River after which the state was named. Buckeye trees grew thickly within state borders when the settlers arrived, hence its nickname “the Buckeye State.” Ohio became the 17th state in the on March 1, 1803. National parks and historical sites offer a satisfying leisure visit in Ohio. Wayne National Forest is the only national forest in the state; it offers extensive trails for hiking, backpacking, and horseback riding. There are 72 state parks which all have facilities for picnicking and hiking. There are the earthwork memorials like the Serpent Mound State Memorial, famous for its earthen serpent-shaped mound; Mound Builders State Memorial which contains a great circular earthwork enclosing an effigy mound that is said to represent a bird in flight; and, Octagon State Memorial, an octagon-shaped earthwork. Other state memorials are associated with Ohioan former US presidents, such as the Rutherford B. Hayes Presidential Center in Fremont where the home and tomb of the 19th president is located, Harrison Tomb State Memorial which retains the burial place of William Henry Harrison, and McKinley National Memorial which honors President William McKinley. In Milan, the Thomas A. Edison Birthplace preserves the early boyhood home of the famous inventor. The Wright-Patterson Air Force Base houses the Air Force Museum which contains the nation’s most complete collection of aeronautical equipment. The National Professional Football Hall of Fame is located in Canton, while the Rock and Roll Hall of Fame can be visited in Cleveland. Twinsburg, the only city named after twins, celebrates a twin’s festival every August.